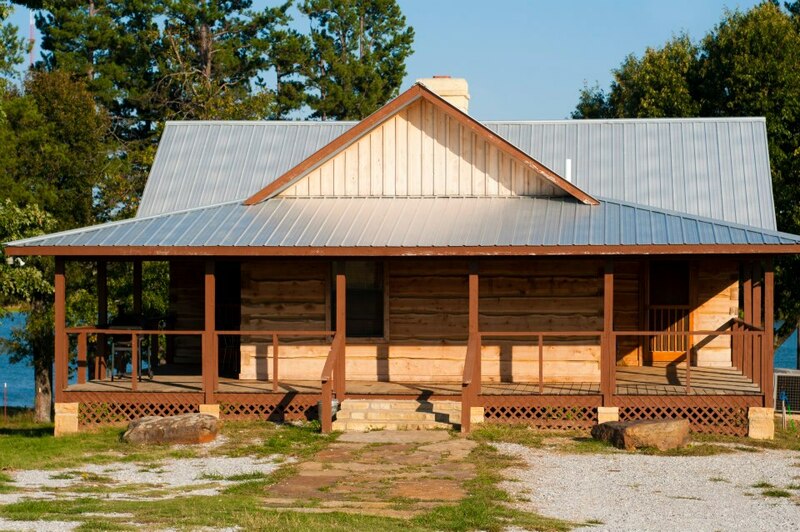 Our Buffalo River Arkansas log cabin rentals are cozy and Family-Friendly. Affordable fun for romantic week-end getaways and family vacations. Our guests never want to leave. We could hardly get our grandsons to leave! Taylor said this was paradise and he wanted to stay forever and ever..."
You can rent our vacation log cabin cottages at a discount from most Arkansas rental cabins. for $10 per pet, per night. Please tell us about pets when you make your reservation. ATV four-wheelers and utility vehicles. 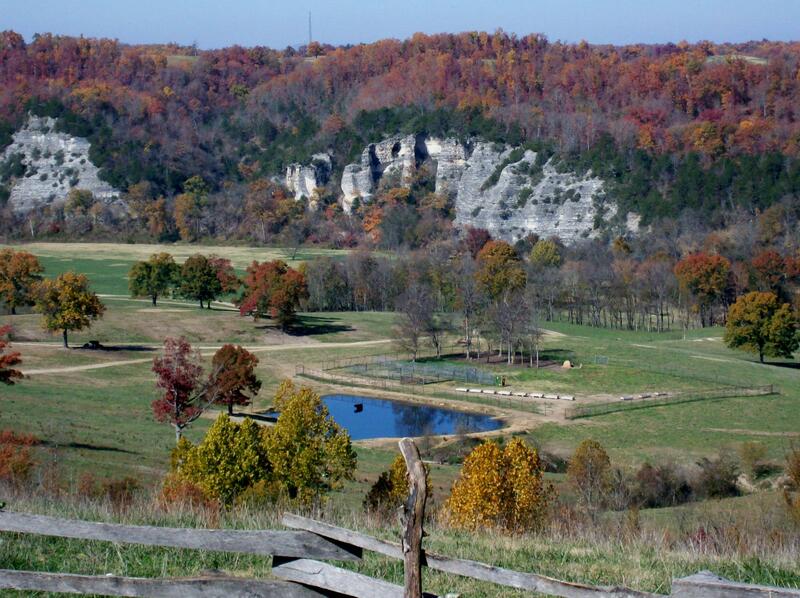 4-wheeling on our private ranch roads and trails is FREE while staying at our buffalo river cabins. "A perfect spot to get away from it all. We loved every minute we were here and wish we could have stayed longer. We definitely will be back!" at any of our buffalo river cabins. Deposit is nonrefundable if cancelled within 30 days of reservation. You will be responsible to pay for days cancelled within that time frame. If you cancel a portion of your reservation, You are still responsible for the days reserved. Our visitors always want to come back again after staying with us for last minute week-end getaways or annual family vacations with lots of careful pre-vacation planning. 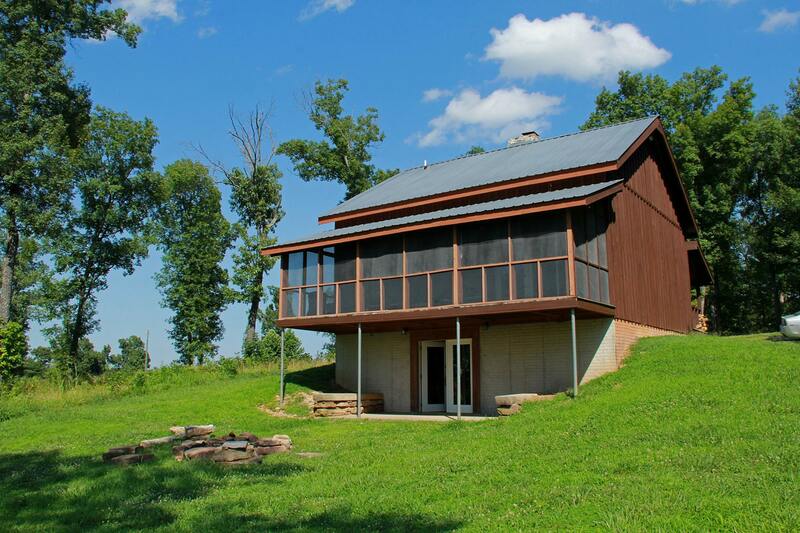 CONTACT US for Buffalo River log cabin rental information. "The cabin is most comfortable and relaxing. A perfect mid-point for our holiday. Cool, comfortable Air-Conditioning, Cozy Stone Fireplace, Screened Porch, Dish Network Satellite TV, warm Leather Furniture, DVD for watching Movies, Complete Kitchen, Charcoal Grill, all Linens, and Spectacular Scenic Views for your complete lodging comfort. ALL our cabins come complete with the gorgeous scenery the Ozark Mountains are famous for worldwide. You are free to enjoy our entire 1,200 acre private paradise here in the pristine heart of America's country heritage. 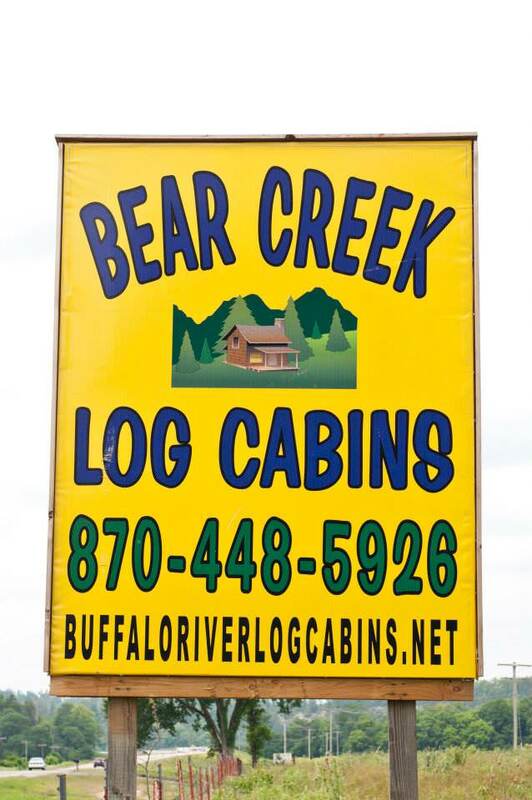 Few places in the world can still offer the peace and privacy you'll find here at Bear Creek Log Cabins. In the tradition of our farming and ranching ancestors, we've named each of our cabin/cottage HOMESTEADS. You'll feel like you've stepped back into a more peaceful time in history when you stay with us. Yet, you'll enjoy all the modern conveniences no matter which HOMESTEAD you choose. to review that cabin homestead's special features. When you close each cabin's window, you'll return to this page. Gently nestled among tall trees, The Conner Homestead is featured online as our Buffalo River Vacation Cabin and is always a favorite during hunting season.Sleeps 12. ATV kids and Four-Wheeler Clubs like the free 4-wheeling trails around this special outdoor lodge. Romantic couples who honeymoon here return to this very private, very cozy cabin to keep their romance alive through the years. You'll enjoy the nostalgic charm of traditional hand chinking in The Turney Homestead. 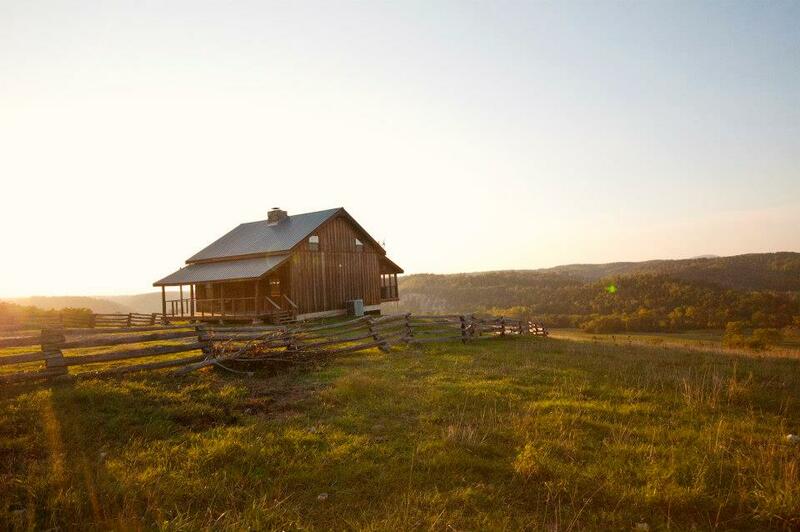 A stay in this true hand-made Buffalo River Pioneer Cabin lends itself to sharing memories among several generations of family members. Sleeps 6. With it's panoramic "wide open spaces" feeling, The Ferguson Homestead offers a sense of all-American freedom that's perfect for parties with friends and family celebrations of all kinds. This Party Cabin easily sleeps 12. Luxurious lake rental cabin right on the shore of it's own fishing lake, The Lake House, is a favorite for all kinds of reunions. Right in the middle of 315 FENCED and GATED acres, it's great for family reunions, school friend reunions, and military reunions. It's the best facilityand best location for informal corporate meetings and church group retreats you'll find in Northwest AR or SW MO. Sleeps 10. You're welcome to ask for your favorite HOMESTEAD by name when you call or e-mail to reserve your lodging. We'll do our best to accomodate you, but we suggest you make your reservations early. 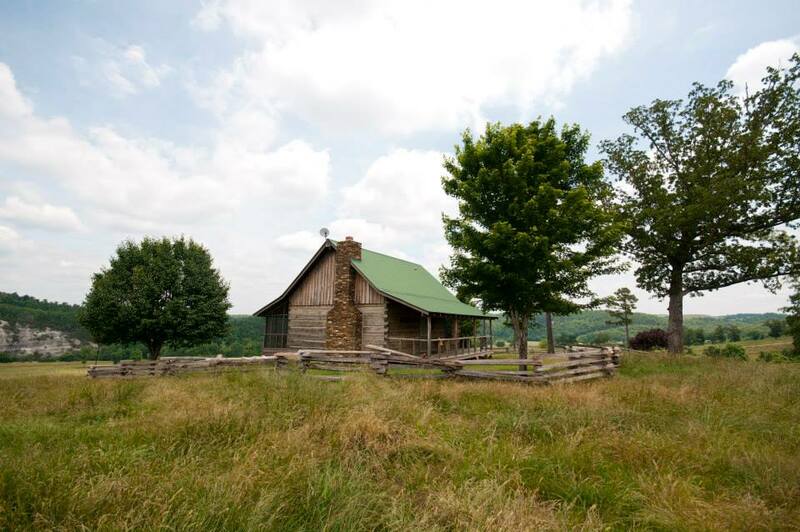 Why settle for a Buffalo River Arkansas log cabin hotel or a log cabin motel when you can have the seclusion and privacy of our 1,200 acres to roam while visiting the Buffalo River National Park and nearby Arkansas Game & Fish Wilderness Management Areas? Come see us at Bear Creek Log Cabins when you're looking for the most comfortable Log Cabin vacation destination in the whole USA. We're just South of Tyler Bend near the Grinder's Ferry canoe launch.